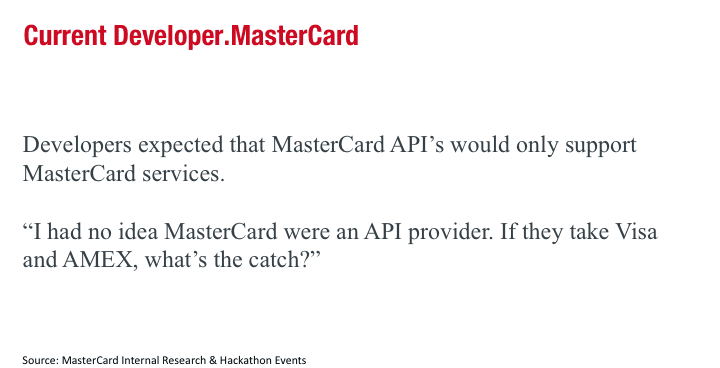 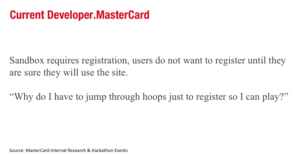 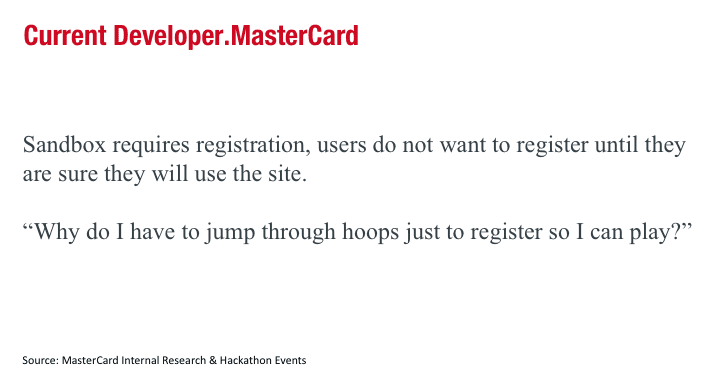 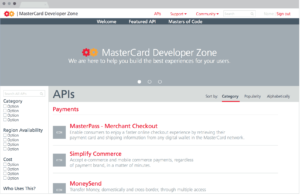 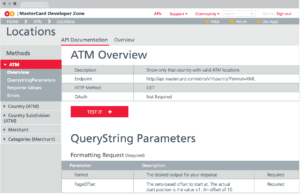 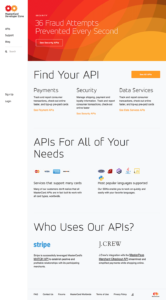 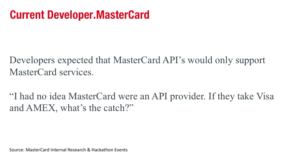 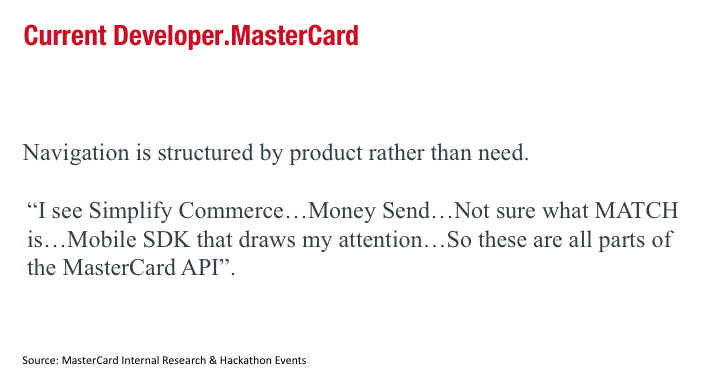 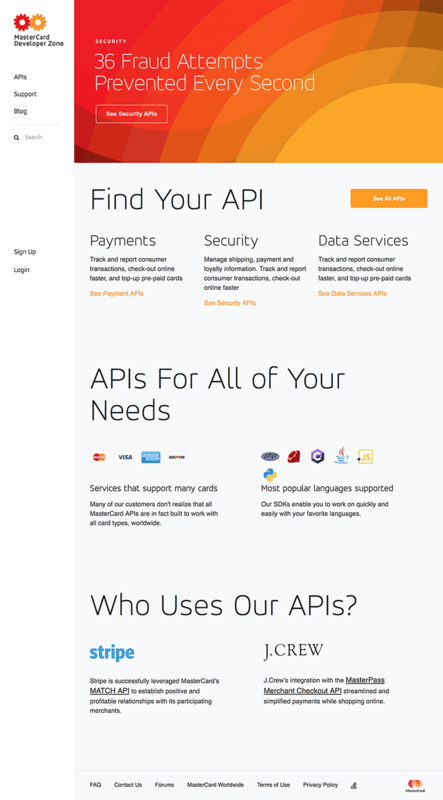 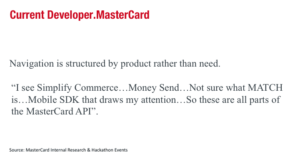 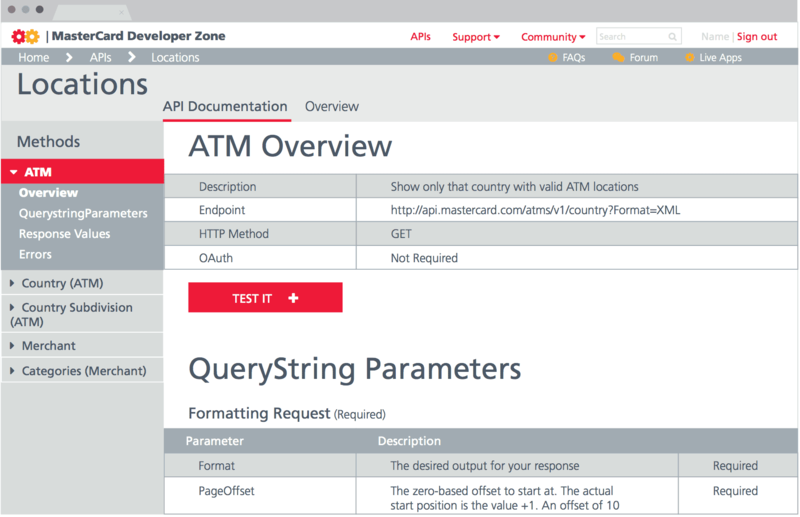 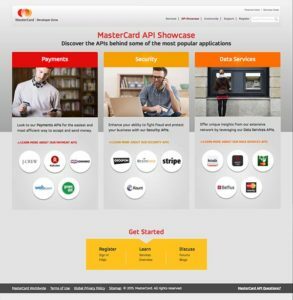 Mastercard Developers is a website that gives software developers access to APIs available from Mastercard. 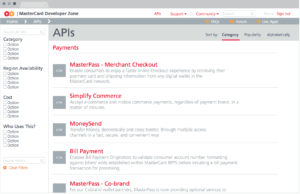 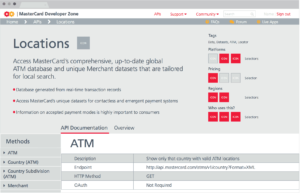 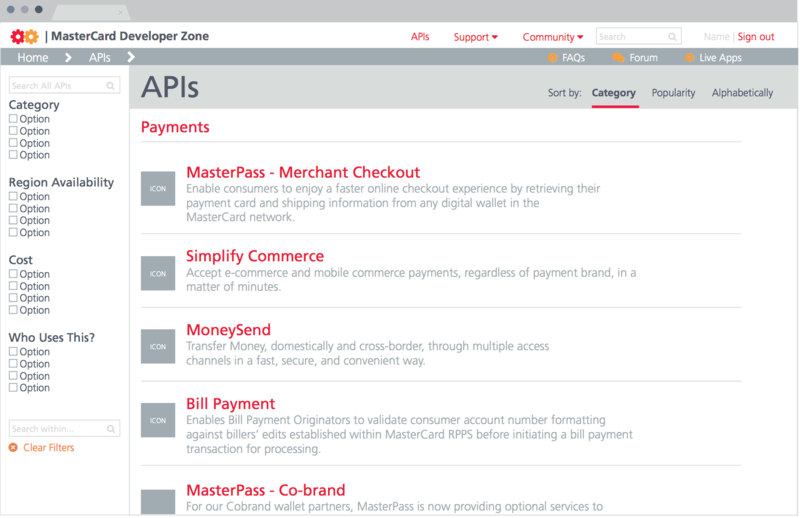 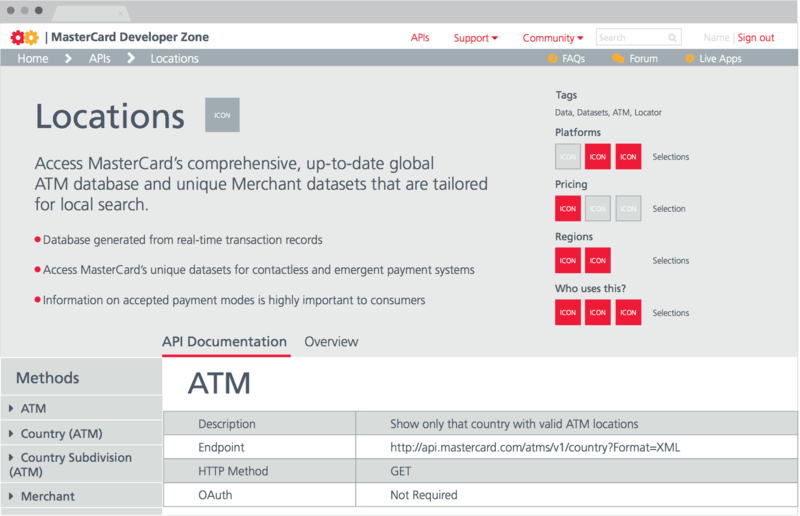 These APIs can be integrated into software applications and give access to Mastercard data and functionality. 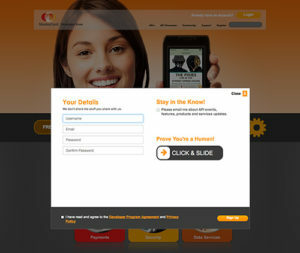 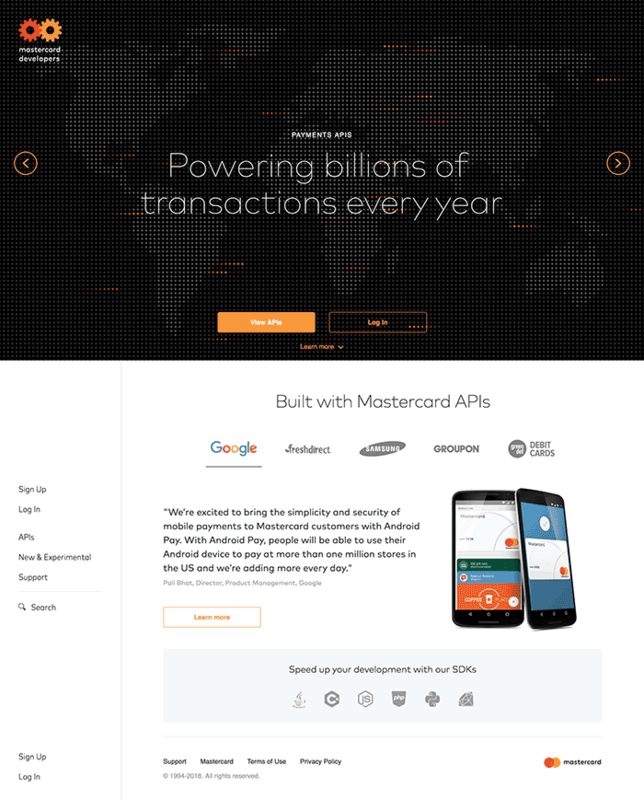 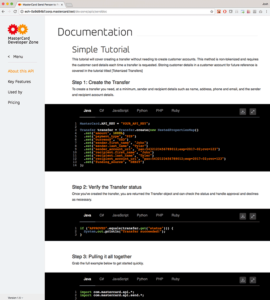 Our user experience team was tasked with re-designing the existing Mastercard Developers website. 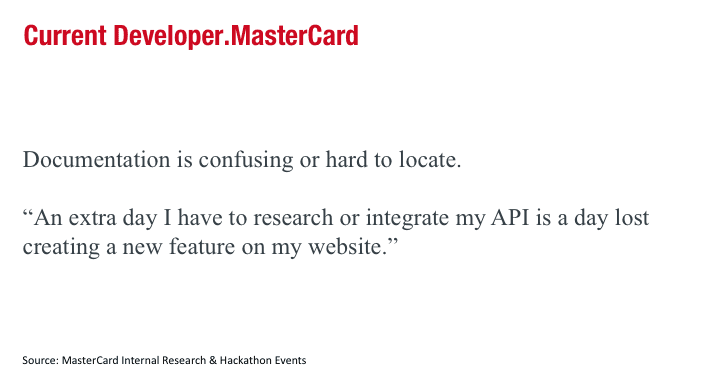 Our team started the project with user research by conducting surveys and interviews with developers. 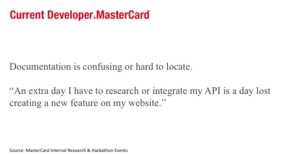 Based on our research we found several key takeaways regarding the existing website, including issues with the information architecture, code samples, registration, documentation, and access. 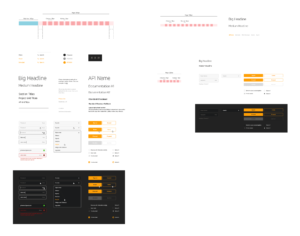 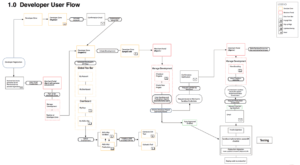 We performed testing throughout this process, and iterated the designs. 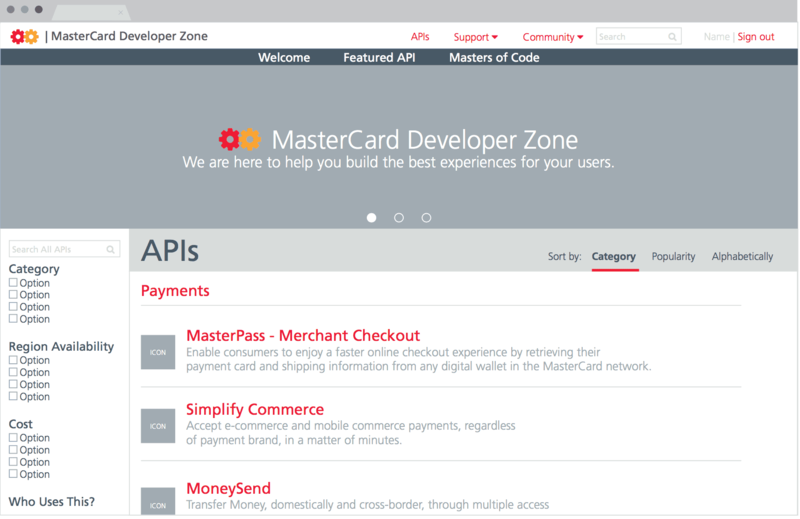 We eventually created a visual language for the new website that reflects Mastercard’s brand while suiting the needs of the Mastercard Developers user interface. 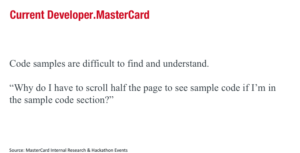 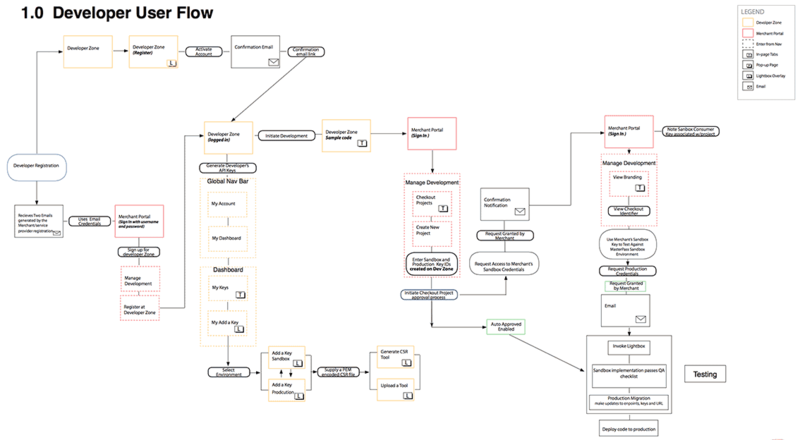 We used the high-fidelity prototype that I built using React to conduct concept and usability testing. We iterated the prototype based on the feedback from the testing, and passed the prototype off to the development team to build.